Flooring enhancements are frequently requested during kitchen remodels because it modifies a large surface area to make a visual impact. With the wide variety of flooring types available, including tile, hardwood, vinyl, laminate and bamboo, we have the flooring options to instantly beautify your kitchen. Because the kitchen is subject to heavy foot traffic, it is important to choose a material that will stand the test of time under heavy use. Updating the cabinetry in your kitchen can not only provide a visual improvement but give homeowners much-needed storage space that wasn’t available previously. At Timco Construction, we utilize the custom cabinets available through Waypoint Living Spaces® to give your kitchen remodel the perfect finishing touch. Cabinets are available in a wide variety of materials including Cherry, Maple, Hickory, Oak, Thermofoil and Glass to provide the solution that meets your style and material preferences. Tulsa kitchen remodels are rarely complete without the installation of new countertops. At Timco Construction, we provide our clients with high-quality countertop solutions including Formica, Wilsonart Countertops and LG HI-MACS. Each of these countertop solutions is available in a wide variety of colors, styles and cuts to ensure the perfect fit for any kitchen remodel. 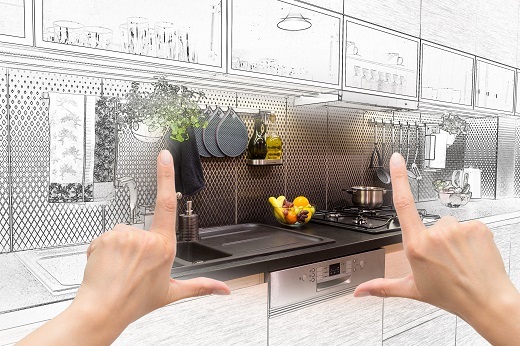 For homeowner’s that aren’t ready to take the plunge on a complete kitchen remodel, minor changes to hardware in the kitchen can provide a drastic improvement in most cases. For existing cabinets, this is one of the easiest ways to give them an instant boost other than resurfacing. Whether you are a fan of chrome or gunmetal, there is likely a hardware solution to suit your tastes. Why Timco Construction for Kitchen Remodeling in Tulsa?